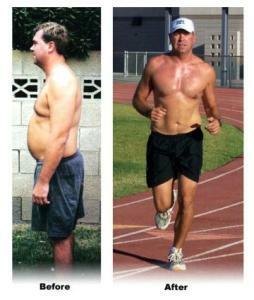 Dr. Jeffrey Banas, Sports Physician, Coach, Former 270 pound "Fatman" to Endurance Athlete & 9 Time Ironman Trialon Finisher. Do you wonder if there is some untapped speed in your body that could be unleashed with the right training plan? Do you ever wonder how much time you might be wasting on your workouts? Are you lacking strength or always getting injured? Training smart, not long, mobility work and strength training are key components of his training philosophy. Dr. Jeff is a coach and a doctor with extensive knowledge in sports medicine, sports performance and nutrition. Dr. Banas is also part of Ben Greenfield's Superhuman Coach Network, so you're not working with Dr. Jeff, you are actually working with a TEAM of coaches. Dr. Banas is a Certified Chiropractic Sports Physician, Certified Strength and Conditioning Specialist, Certified in Clinical Acupuncture,Superhuman Performance Coach and 9 Time Ironman Triathlon Finisher. Success. Coach Dr Jeff Banas has been notified of your message.